An easy way to stay on top of your service commitments to your customers! 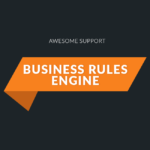 The Awesome Support Service Level Agreement module allows you to calculate a due date for tickets based on your contractual obligations to your customers. Each customer can have a different contractual due date and that due date can be overridden based on the priority, status or channel that the ticket arrived on. 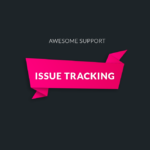 With the Awesome Support Service Level Agreements extension its easy to keep on top of tickets that are coming due. Just select the appropriate filters directly from the familiar ticket list that you and your agents have been using all along. 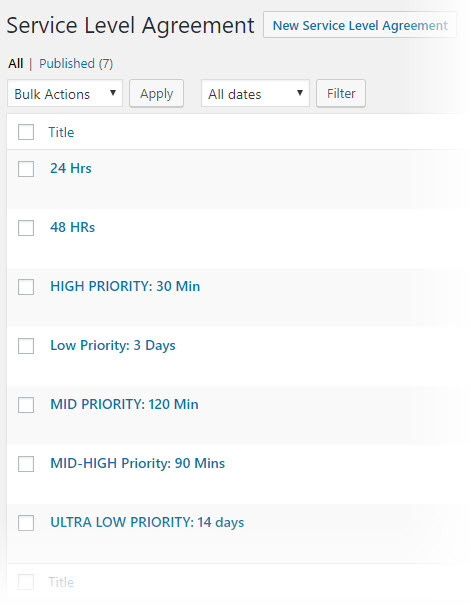 You can set up an unlimited number of email alerts for each SLA. Alerts can be sent as a ticket gets closer to breaching its due date. 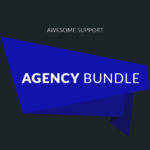 Each agreement can have its own set of alerts and be personalized with the standard Awesome Support EMAIL template tags. 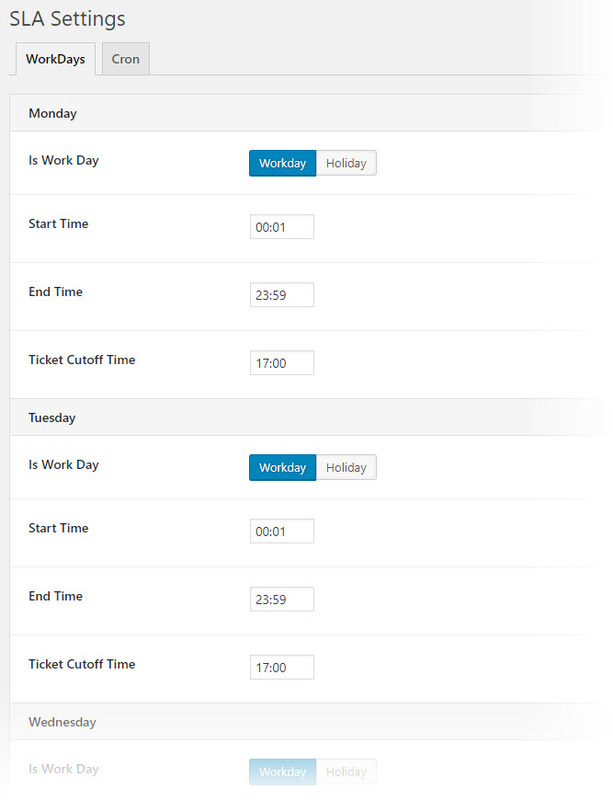 Due dates on tickets can exclude standard non-work days such as weekends. Due dates on tickets can exclude holidays based on your custom holiday calendar. 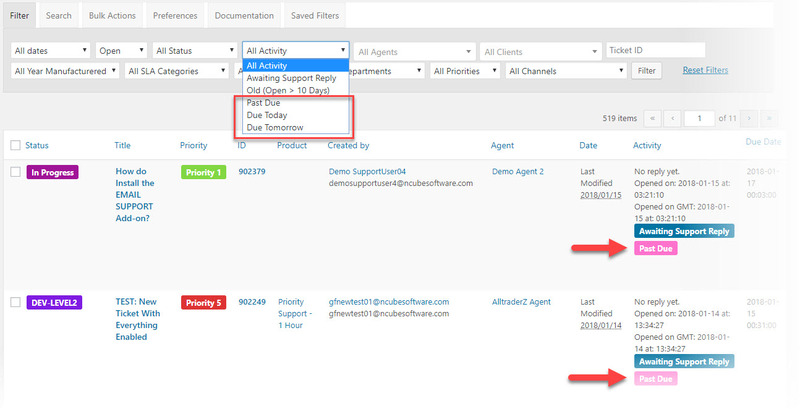 The Awesome Support SLA add-on is a powerful tool that helps you track and meet your commitments to your customers. Get it today and see how much easier it is to stay on top of your service commitments! Tweak: Implemented action hooks from email support and rules engine to make sure that updates from those add-ons trigger an sla recalculation. Tweak: Updated description for time in alert to make it clearer what that means. Fix: Initialize a variable before using it since not all logical paths will lead to it being defined. Fix: Remove another closing PHP statement in a file that was causing silent faitures when adding a taxonomy item. Fix: Removed some errant blank lines that were contributing to some silent failures when adding a taxonomy item. 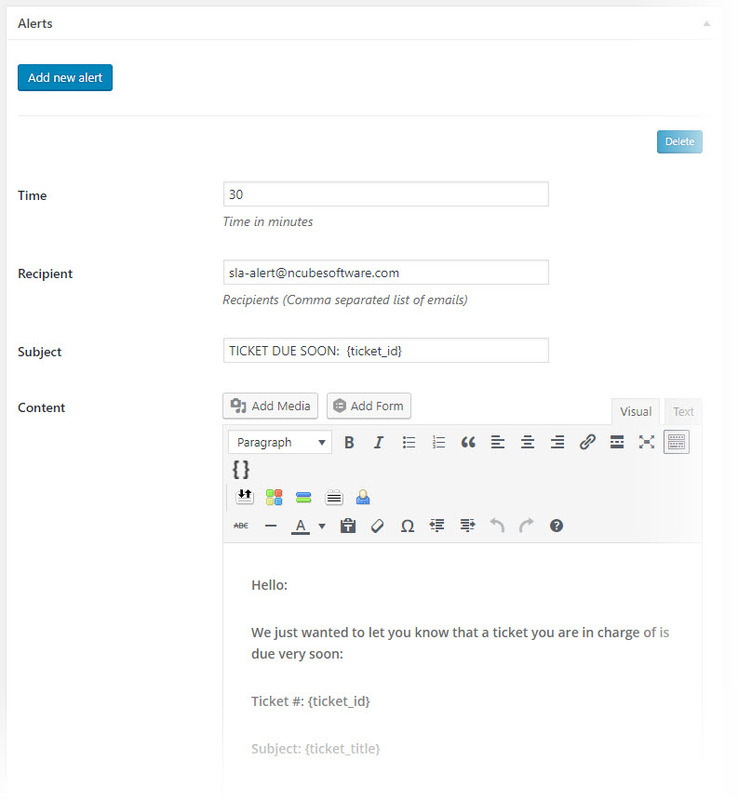 Fix: Restrict the test due date metabox to just users with the ticket_sla_admin capability. 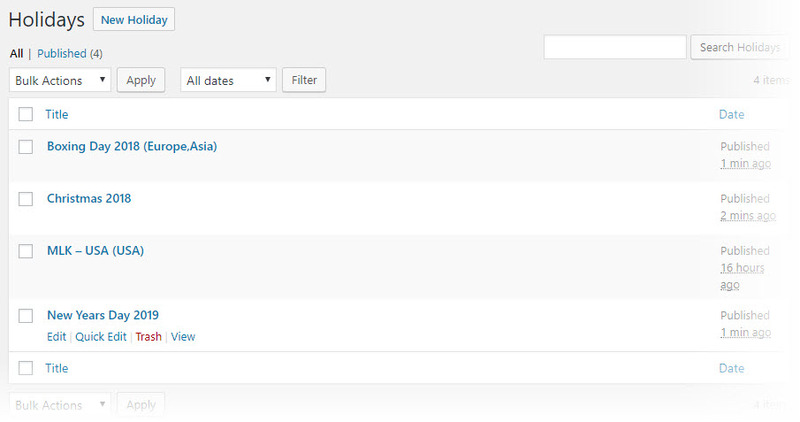 Fix: Recalculate due dates button now works. Known Issue: SLA Category is not currently enabled.